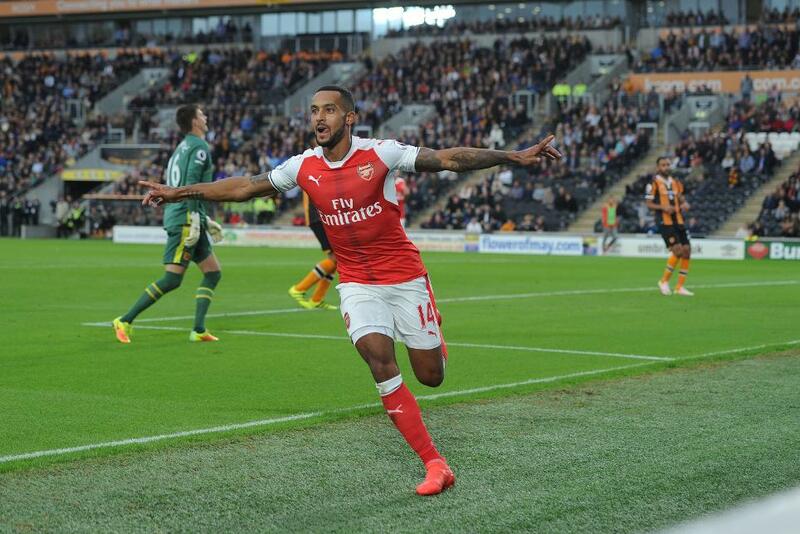 Arsenal secured their third win in as many matches with a 4-1 victory over 10-man Hull City at the KCOM Stadium. The Gunners opened the scoring on 17 minutes when Hull failed to clear and Alexis Sanchez got the final touch from Alex Iwobi's shot. The home side had Jake Livermore sent off for a handball as he blocked Francis Coquelin's goalbound strike. However, Arsenal could not add to their lead as Sanchez's penalty was saved by Eldin Jakupovic. Arsenal did add a second 10 minutes after half-time when Theo Walcott finished after a one-two with Iwobi, but Hull were given a way back into the contest when Robert Snodgrass scored a penalty after Petr Cech was adjudged to have brought down Dieumerci Mbokani. Arsenal made sure of the three points with seven minutes to go to when Sanchez fired into the roof of the net and, with time running out, Granit Xhaka netted his first goal for the Gunners with a powerful shot from outside the area to complete the scoring.